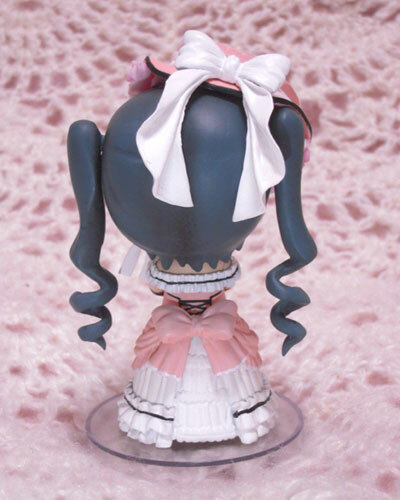 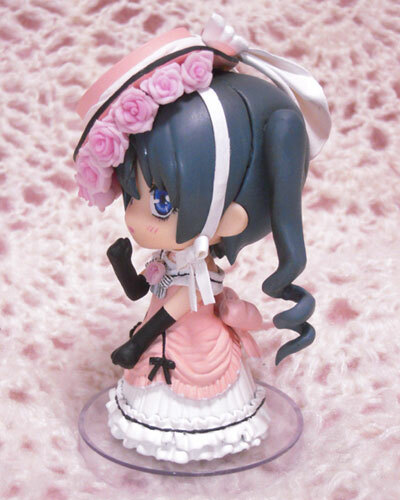 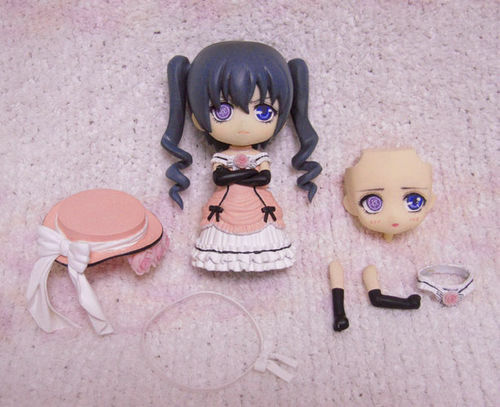 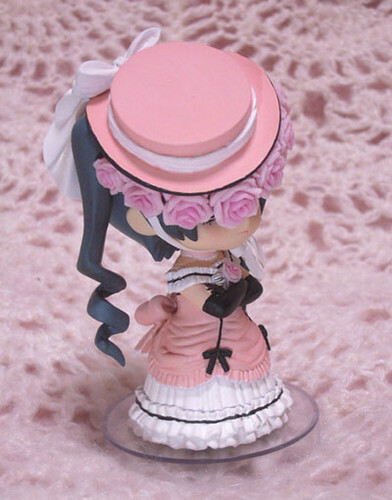 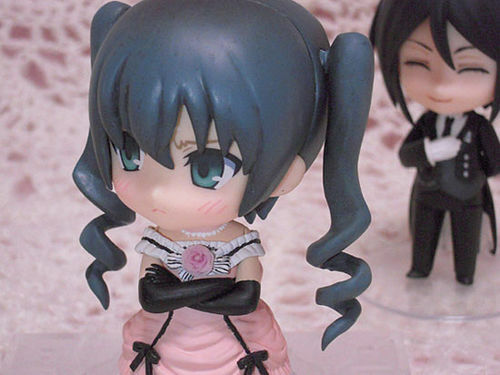 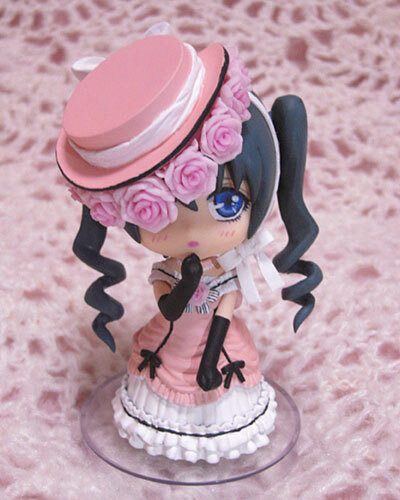 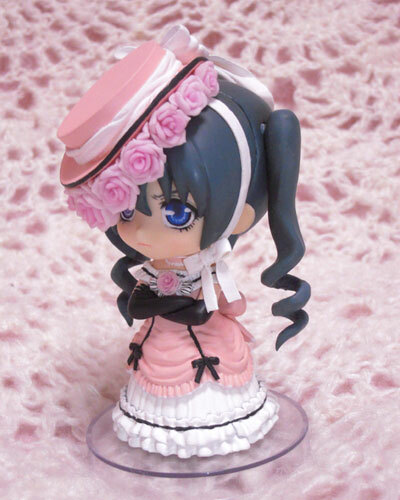 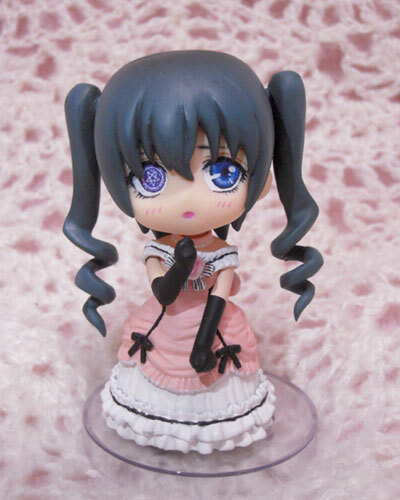 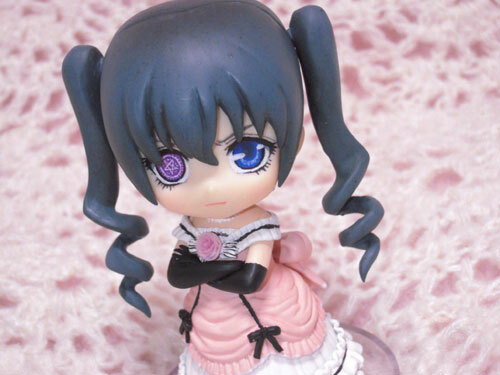 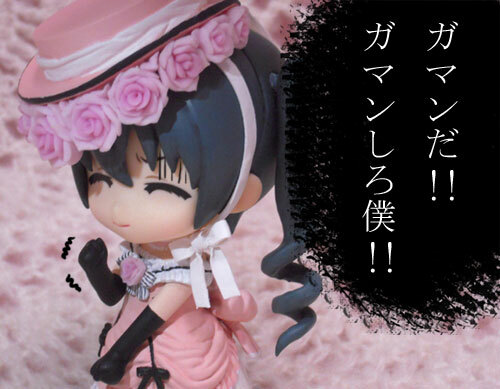 Previously, we have already had Nendoroid Ciel Phantomhive dressed as Aliciel. 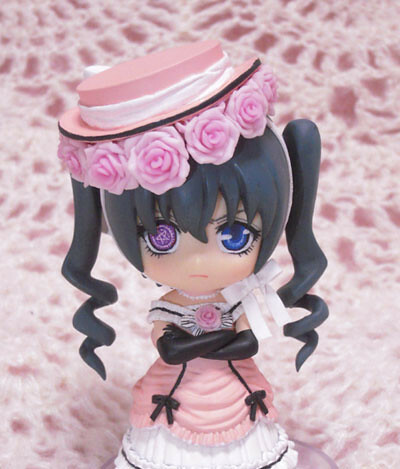 Today, I am going to feature another lovely custom Nendoroid of Ciel, called as Nendoroid Ciel Phantomhive: Komadori version. 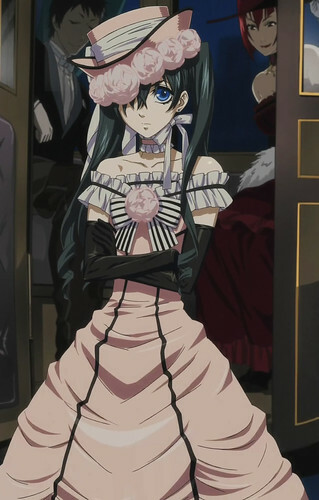 Yep, if you have watched the anime, you should have known that she wore this cute pink dress in Jack The Ripper episode of Kuroshitsuji (Black Butler). 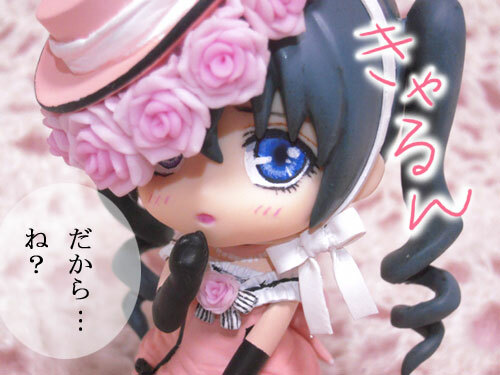 This entry was posted in News, Photos and tagged black butler, ciel phantomhive, custom, komadori, kuroshitsuji, nendoroid. 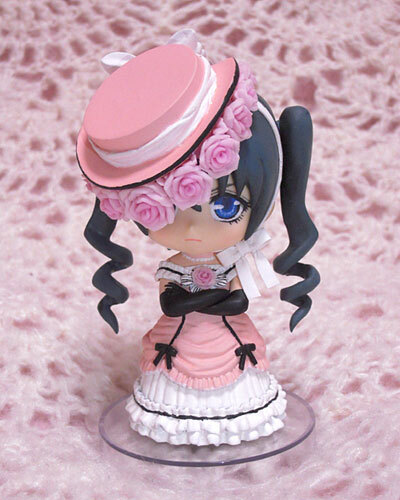 Same here,I want this so bad. 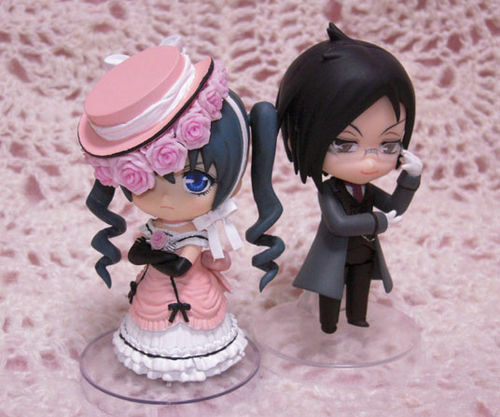 They look like they should be on top of a wedding cake!